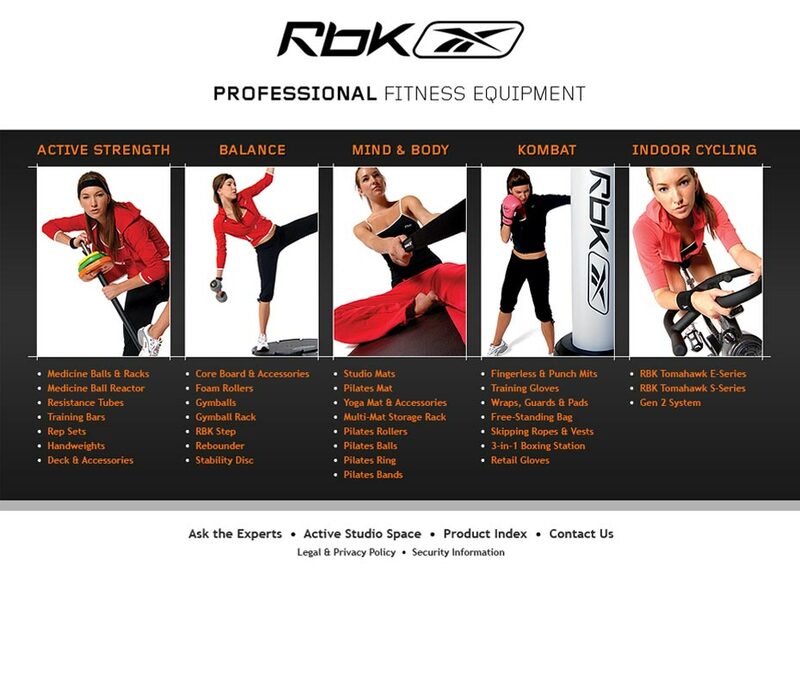 This design was a concept proposal for the RBK Professional line of fitness equipment and sports products. 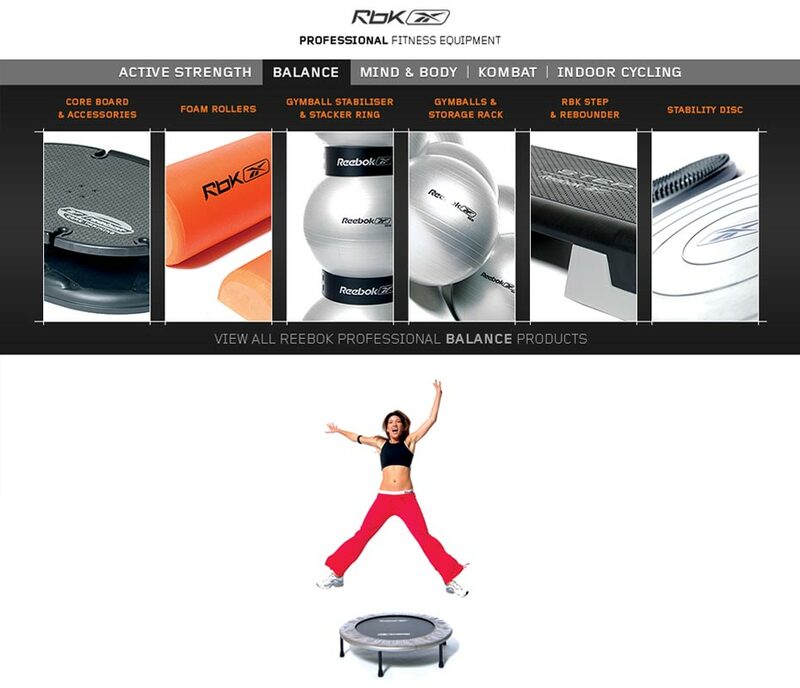 The proposal was for an eCommerce site to sell and promote the RBK Professional line of fitness equipment and sports products. 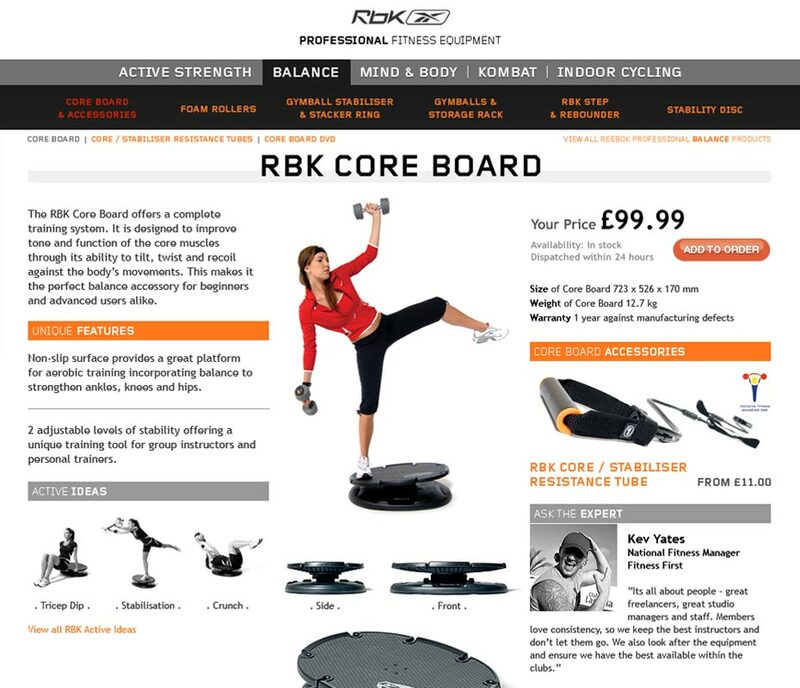 Drawing upon the design elements of the RBK product brochure a concept was created to match the existing marketing material.